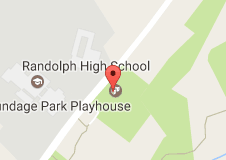 Randolph’s Courthouse is literally situated in a double-wide trailer down the street from one of the largest casinos in the Kansas City area. The Prosecutor is quite friendly and reasonable in the speeding cases. They have a notorious speed trap which ensnares both employees and visitors to the casino. The Prosecutor will amend a ticket to a defective equipment which is a non-moving violation and will not be reported to the Department of Revenue. A defective equipment will cost you between $175.00 and $275.00. My charge for Randolph is $185 per ticket. You will be able to pay with cash, check or credit card. All money for fines and my fee must be paid upfront. For more information on how the process works, please go to About Us. Court is on Tuesday night in Randolph. According to the United States Census Bureau, the village has a total area of 0.3 square miles (0.9 km²), all of it land. Randolph is on the banks of the Missouri River. It is surrounded by Kansas City on all land borders, and the opposite side of the Missouri is also Kansas City. As of the census of 2000, there were 49 people, 20 households, and 14 families residing in the village. An interesting fact – none of the population and none of the families were below the poverty line.